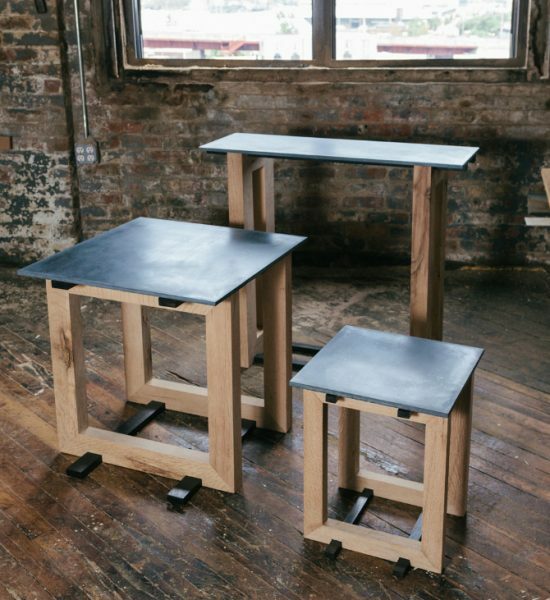 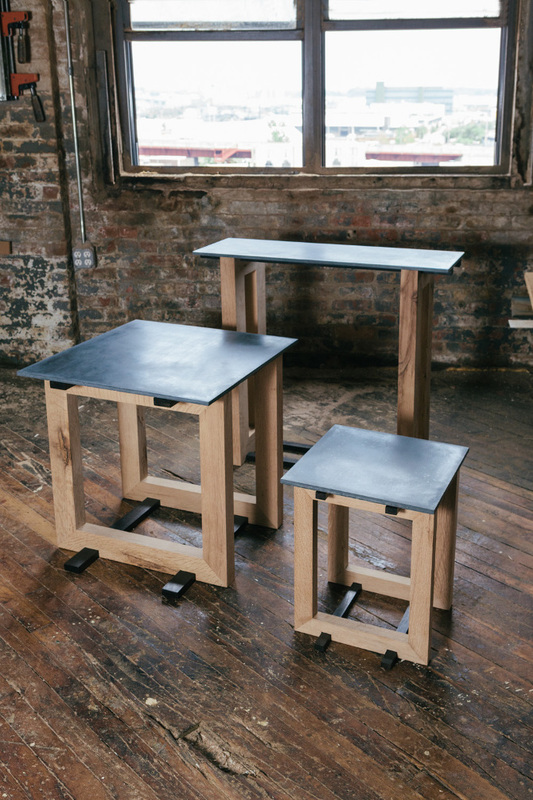 III Element Series is a line of beautifully handcrafted tables made out of three distinct materials: reclaimed White Oak, Ebonized Walnut, and Concrete. 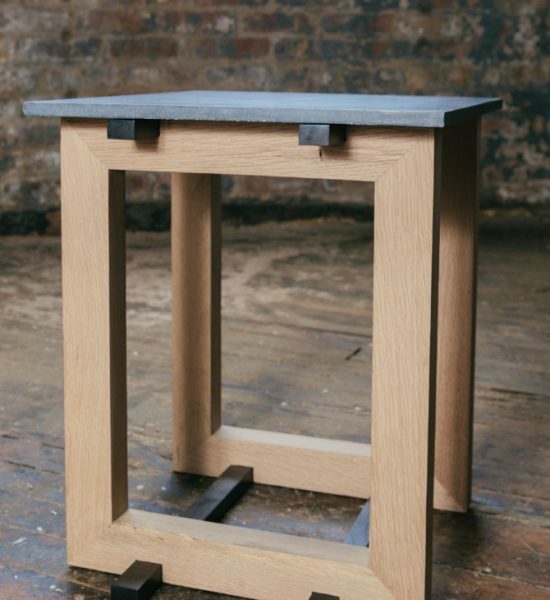 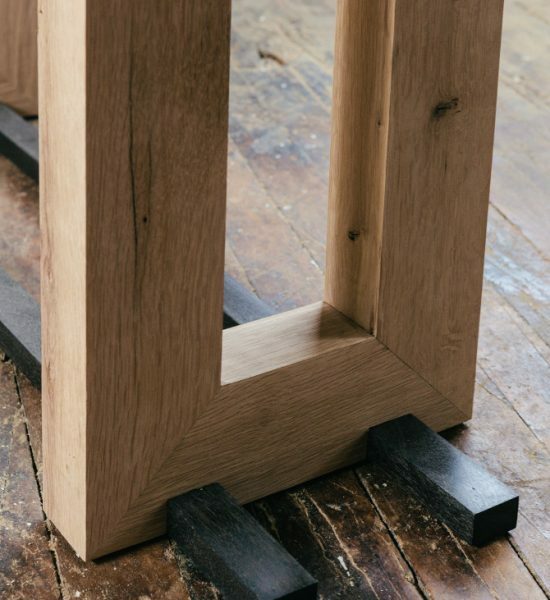 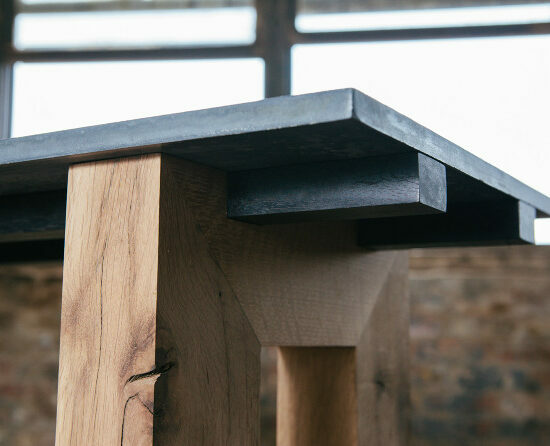 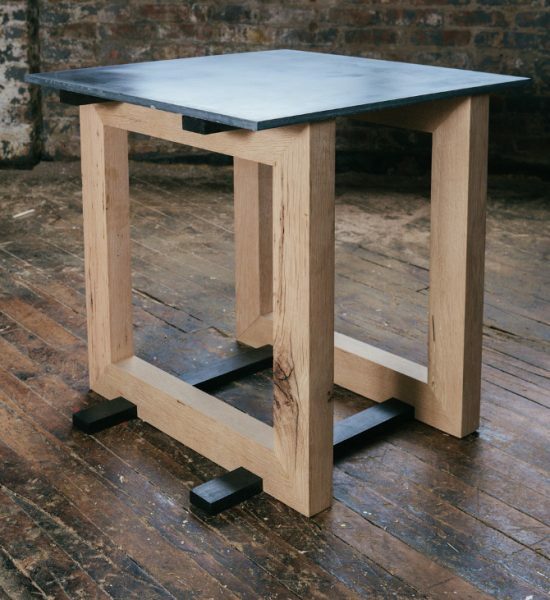 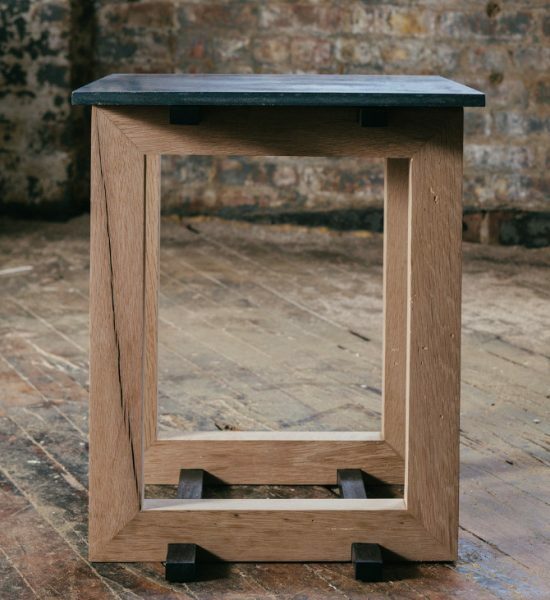 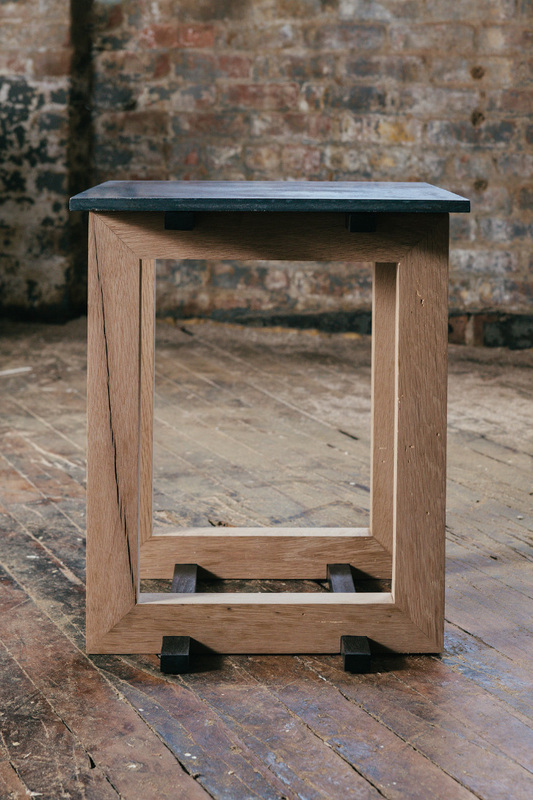 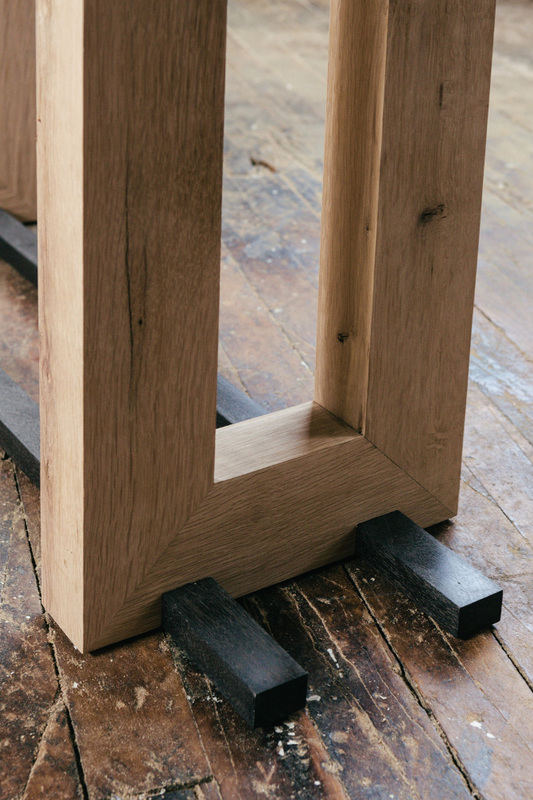 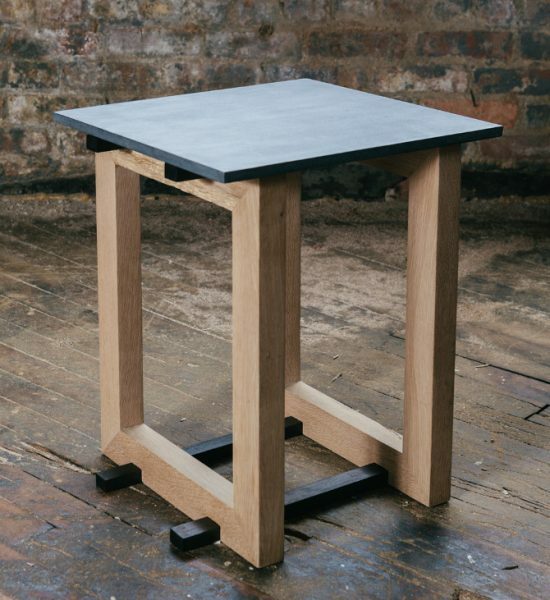 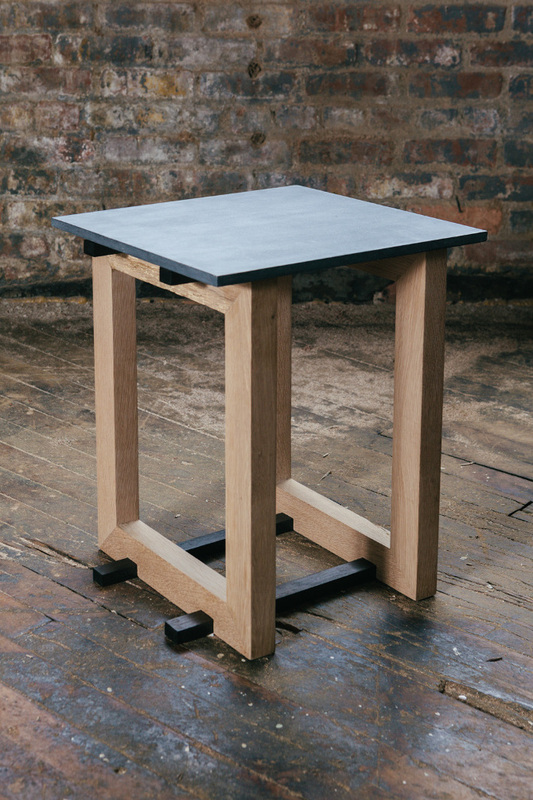 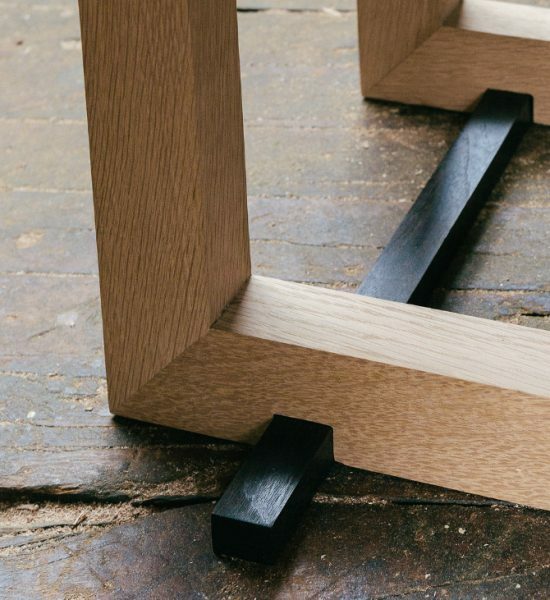 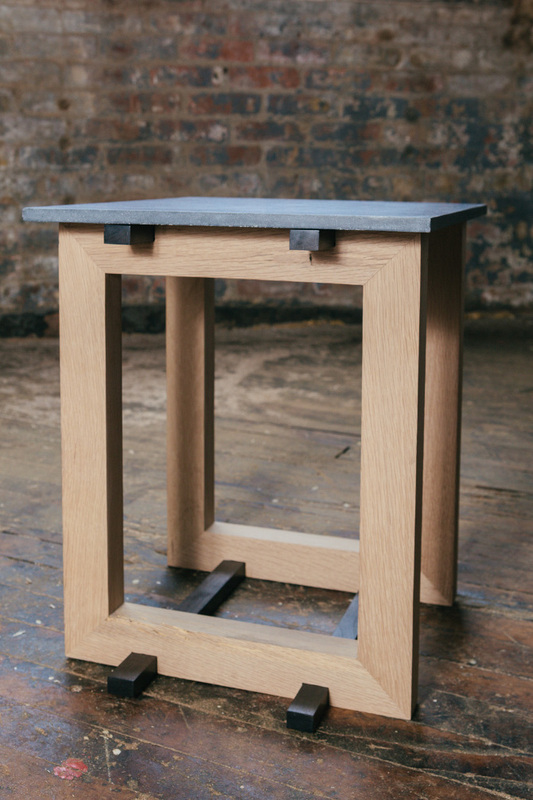 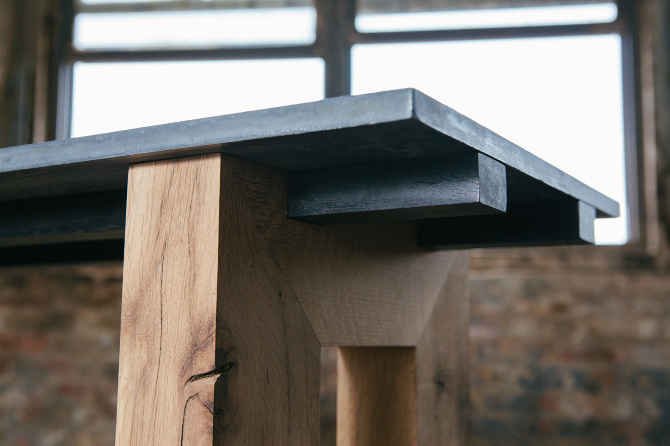 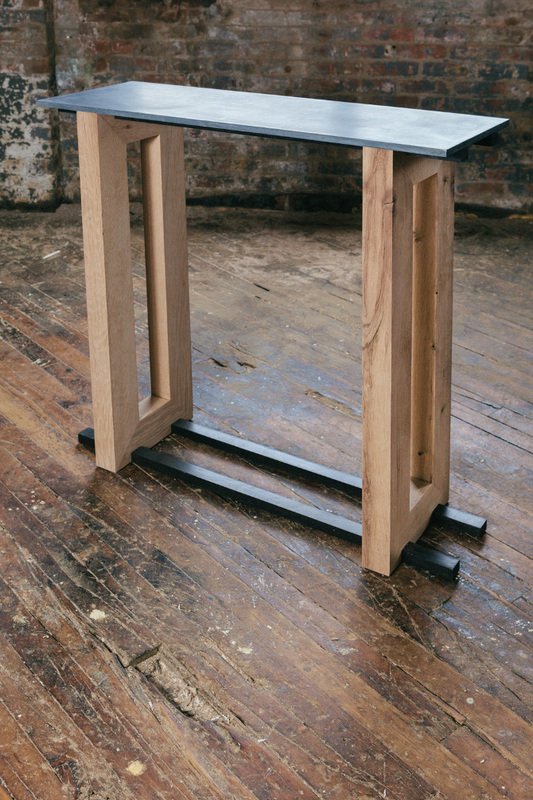 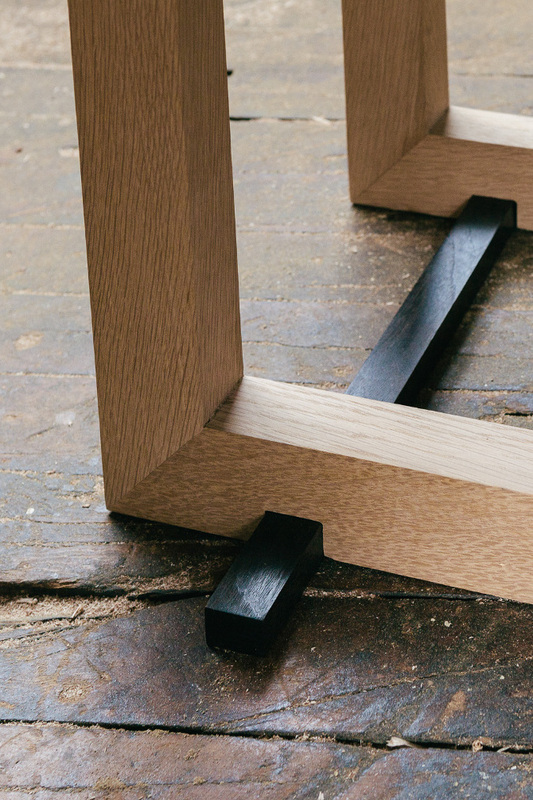 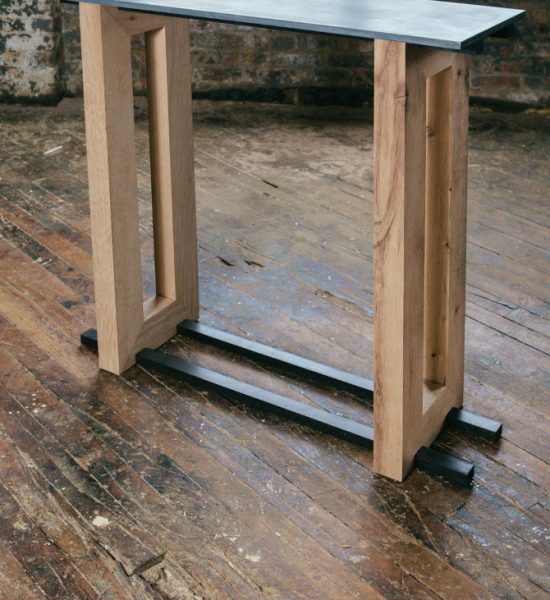 Each of these unique elements comes together harmoniously through the use of clean lines, ancient joinery, and fundamental geometries to form these sculptural and structural tables. 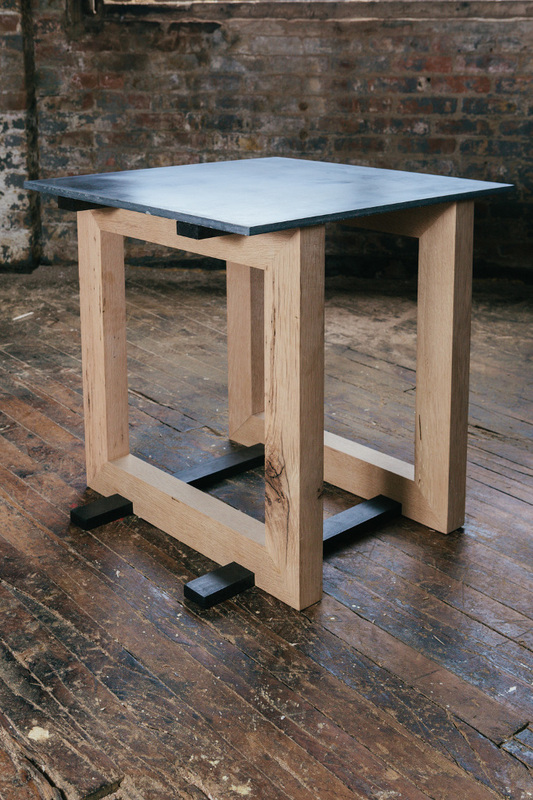 In these particular tables, the solid legs of White Oak are all reclaimed wood from an 1800’s barn that was torn down out in New Jersey. 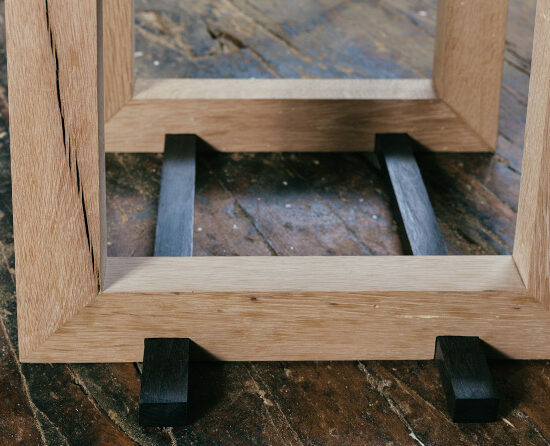 Since the wood was so beautiful, rich with character, and strong it was finished with fine hand sanding and left natural to expose its history. 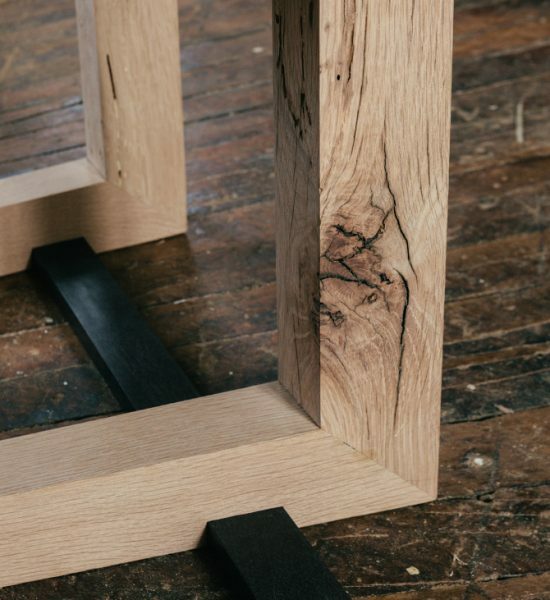 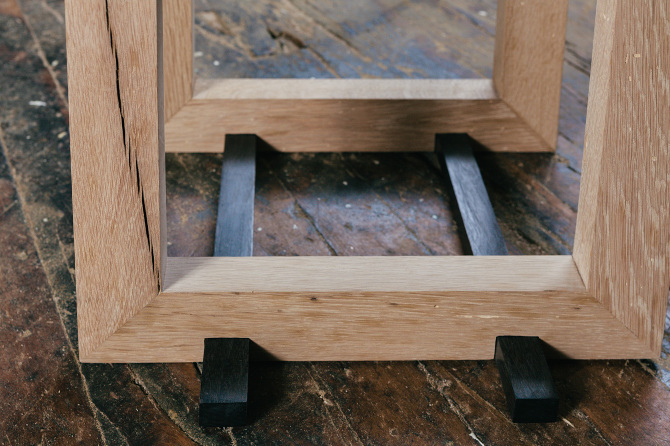 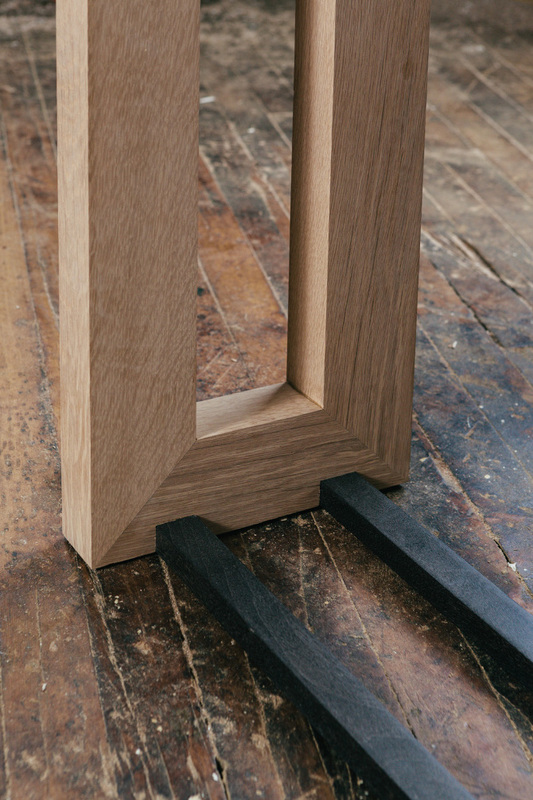 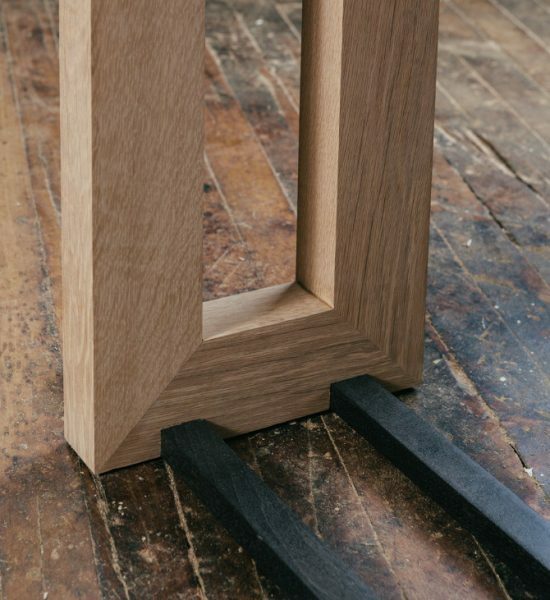 To contrast the pale White Oak, the supporting blackened cross-members of Walnut are all treated with an oxidation process that ebonizes the wood, or naturally turns the wood black without the use of stains or dyes through a chemical process. 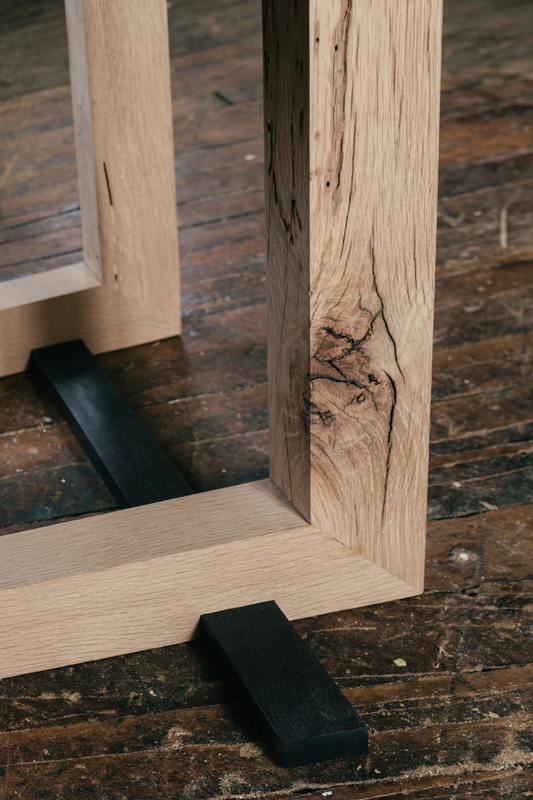 The ebonized Walnut is then finished with several coats of wax to add luster and resemble raw steel. 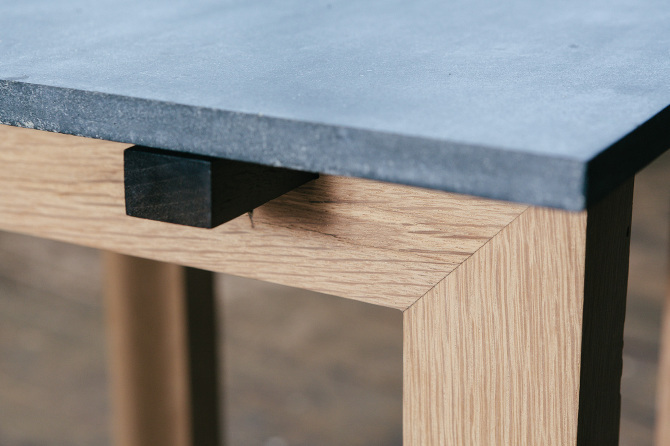 The table surfaces are all specialty blend concrete cast ultra thin. 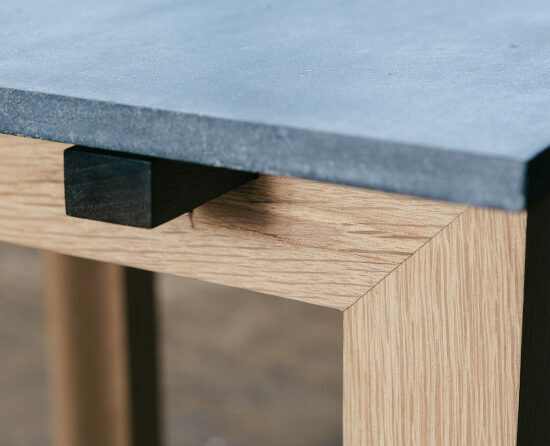 They rest atop the wooden structures providing a smooth tabletop surface and finish the triad with their cool, serene grey-blue hues. 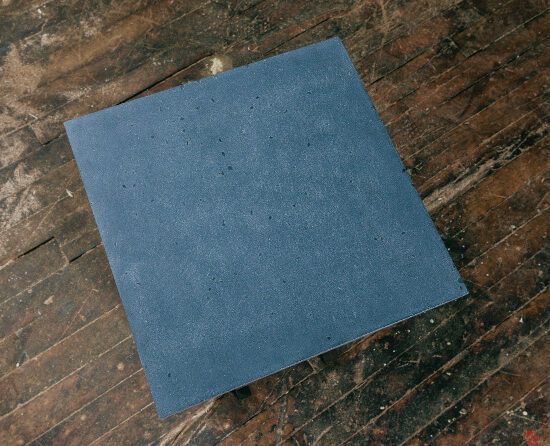 Ghosting through the slate color of the concrete, small black marble aggregate may be seen to add a subtle texture. 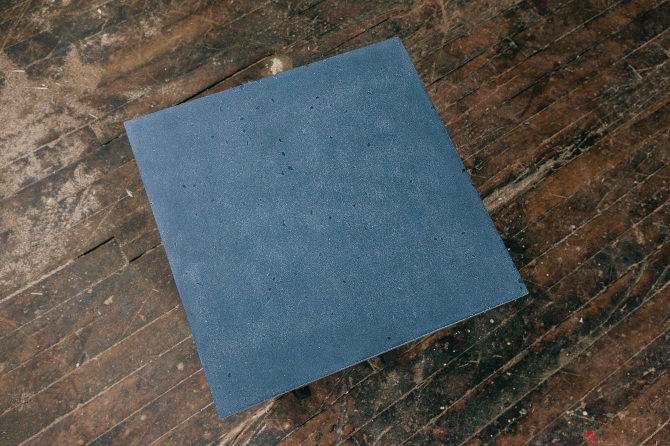 Finally, the concrete is sealed and completed with a matt finish.